Cycloneda sanguinea (Spotless Lady Beetle) ♀. 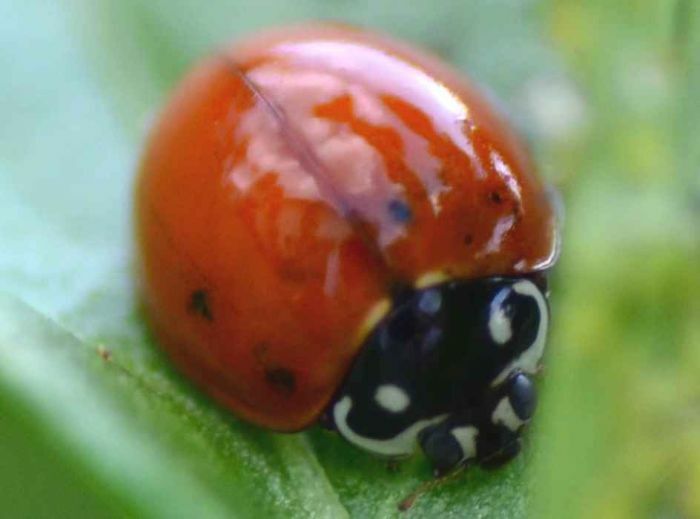 Spotless lady beetle: Cycloneda sanguinea (female). The male has an additional (short) white line between the characteristic C-shaped lines. The dark features on the wings are most likely caused by minor injuries during development of the pupa. The genus has three species in North America.